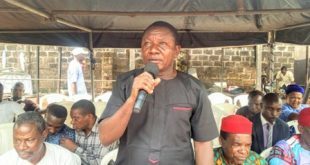 The Commissioner for Basic and Secondary Education, Delta State, Commissioner Ebie has described Ogbemudein Model School in Agbor as government finest school in Ika South. 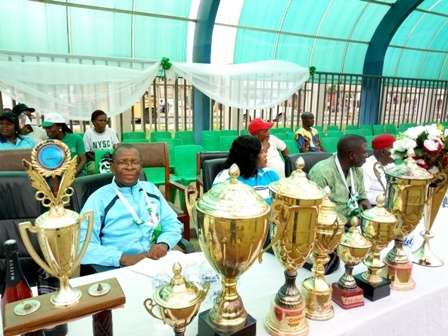 Commissioner Ebie stated this during the school’s third annual inter-house competition held on Friday, March 9, 2018 in the school premises. He said the school with state of the art building which according to him attracts the sight of passersby was near completion when his administration under the leadership of Governor Ifeanyi Okowa came into power, and was completed to its befitting standard to give the students good educational facilities. Speaking further, Commissioner Ebie expressed happiness that a capable hand in the capacity as the principal of the school, Mr. Frank Aziken, has done well so far to maintain the standard of the school. He also assured the school authority of government continued support. 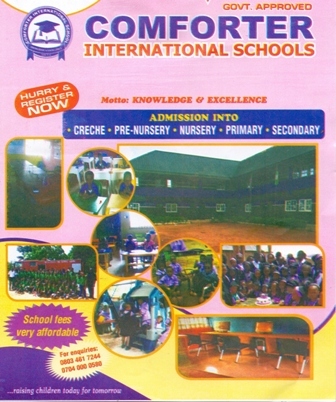 Meanwhile, the Principal of the school, Mr. Frank Aziken in his address affirmed that the current improvement in teaching and learning behaviour of both staff and students since he assumed leadership of the school was as a result of his good qualities demonstrated as a director and facilities made available by the government. He said in as much as the school is grateful to the state government for the magnificent building, much is still needed, hence he appealed to the government and individuals to contribute to the development of the school by way of building a big Hall for external examination, three staff quarters and corper’s house in the school as well as to help retrieve the stolen school generator which according to him poses great challenge, particularly on the area of pumping water for use in the school. 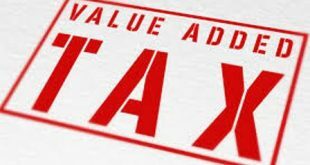 Other needs of the school he listed includes; to encourage sports activities; Short put, Javelin and Discuss for boys, football boots, Athletic Jessy, Trophies, Mowers for clearing grass and school bus. On his take on the school sporting competition, Mr. Aziken observed that it was worthy to see parents, guardians and Educators come together to witness and share the fun of sports with their children. 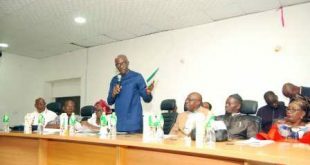 He emphasized that the importance of sports in schools cannot be overemphasized, saying that it develops the potentials and skills in a child for all round development. He noted that the potentials when positively explored and utilized will build self confidence, self reliance and self actualization as elements of longevity. 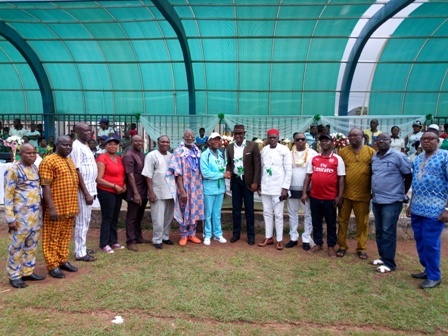 It was on this background that the principal commended Commissioner Ebie and his team for reawakening the flame of sporting activities in the state. He thanked Hon. Nduka Irabor for the donation of Lawn Tennis and Basket ball equipment, providing students with fifty footballs, a coach and selecting the school as a demonstration site for games. He concluded with a promise not to fail in his call to service. On his part, Prince Prof Obika, who stood in for the Chairman of the occasion, Mr. Steven Ikpade expressed delight on the performance of the athletes from the various house colours and their patrons. 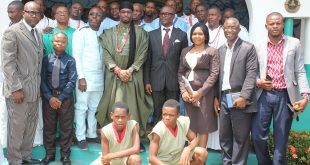 He also explained that sporting activities is necessary to inculcate discipline into the children and youths. He therefore urged parents and guardians that they should always encourage their wards to participate. He also called for more support for the development of the school. 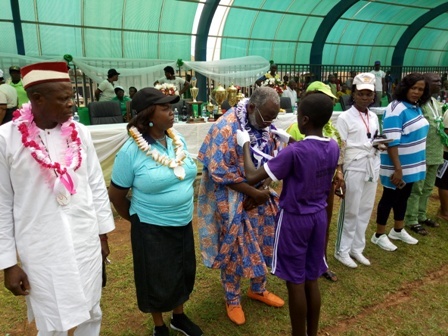 The sports competition which recorded a huge success in spite of the heavy down pour attracted the presence of personalities with no mean repute such as Commissioner Ebie, Mrs. Ifeoma Agborma (mother of the day), Pa John Nwagimeje (Father of the day), Dein of Agbor ably represented by his palace chiefs, Hon. Fred Ofume, Mr. Peter Idion, Mr. Patrick Inyere, Mr. Imasua Amino, Mr. Ikpazum ( NUT Chairman), Comr. A.N. Omeifo, Mr. Anthony Akponovo (CIE, Ika South) Mr. Felix Iweluegim who represented Gen. Lucky Irabor and many others. The games featured include sack race, match-past, egg race, filling of empty bottles with water, long & high jump, school relay, cultural dance and invitation relay for Primary and Post Primary Schools. The competition was won by Purple house with the total points of 151, followed by Pink house which clinched the second position with 140 points and Lemon house got the third position with 139 points.